Angéla Kóczé, a visiting faculty member with Women’s, Gender, and Sexuality Studies, invited women from El Buen Pastor to participate in an entrepreneurship project. 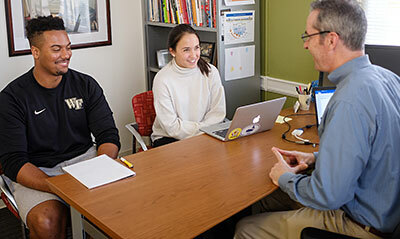 Utilizing a framework from one of her classes, Kóczé and her students worked together to help each participant to identify future career possibilities, evaluate personal assets and challenges and to find a best path forward. Read more in the El Buen Pastor newsletter.